Luckily, I am not the only one facing these challenges. In the USA alone, there are more than 57 million freelancers. App development companies weren’t going to miss this market opportunity. In this article, I’ve made a selection of tools and apps I’ve found useful in my work as a freelance writer and part-time employee in a content marketing agency. From my experience, they can make your self-employment smoother, while helping you earn more and enjoy the remote lifestyle you want. If you’re a freelancer, the quality of your product or service is what matters the most. Nevertheless, many customers will appreciate if you communicate in a structured, timely, kind, and proactive way. The communication channel you use plays a significant role in how you’re perceived as a professional. For example, if you use an app that is not convenient for your customers, there can be lags in your correspondence and frustration from both sides. If you’re developing a long-term relationship with your client, make sure you’re on the same page about how you keep in touch. In my work, I use well-known and widespread communication platforms. They are handy for my clients and for me because millions of people use them and many other apps sync with them. With new communication tools springing up every day, email remains the most traditional and widespread one. 26% market share and more than a billion active users make Gmail a universal platform compatible with almost everything. It’s also fast, efficient, and easy to use. Google Drive is a free alternative to Microsoft Office Suite that has become indispensable for many freelancers. All edits to Google Docs, Google Sheets, and Google slides are auto-saved online meaning you won’t lose your files even if your pc sets on fire. Furthermore, you can also write while you’re offline – all changes will be saved as soon as you get an internet connection. Inbox by Google is a great way to sort your inbox – it acts like a to-do list and email in one. Very handy when you’re dealing with many emails from different projects. Google Keep works as a syncing notepad that you can easily connect to Google Drive and take or save photos, checklists, notes, and voice memos. This is a practical and colorful organization tool that differentiates business notes from personal ones. Google Hangouts is a chat and video conferencing service that’s easy to use right inside Gmail. All its features are synced with other Google applications and thus really convenient. Streak isn’t really a Google app, but a Gmail extension. 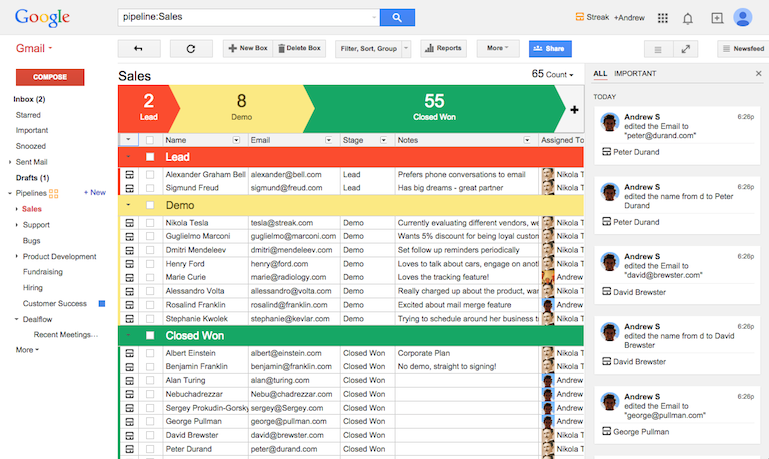 When synced with Gmail, it turns your email into a powerful CRM tool, letting you share important emails with a team, schedule emails, manage group emails and keep track of customer details. Skype might seem like old news, but it’s still one of the best – and most popular – free messaging, calling, and video conferencing services out there. You get all the basic features to stay in touch with your customers and co-workers, and no extra expenses are required, even if you make conference calls with many participants. Skype has a separate app and a web version, you can easily share your screen with your customers to get your point across faster. Another benefit – you (and your clients) don’t have to have a Google account to use it. Slack is usually regarded as an app for companies and their in-house workers, but freelancers can find it handy as well. If you have permanent customers or if you’re a part of a remote team, ask them to add you to the necessary channels so you can get up to speed on the internal team’s communication. 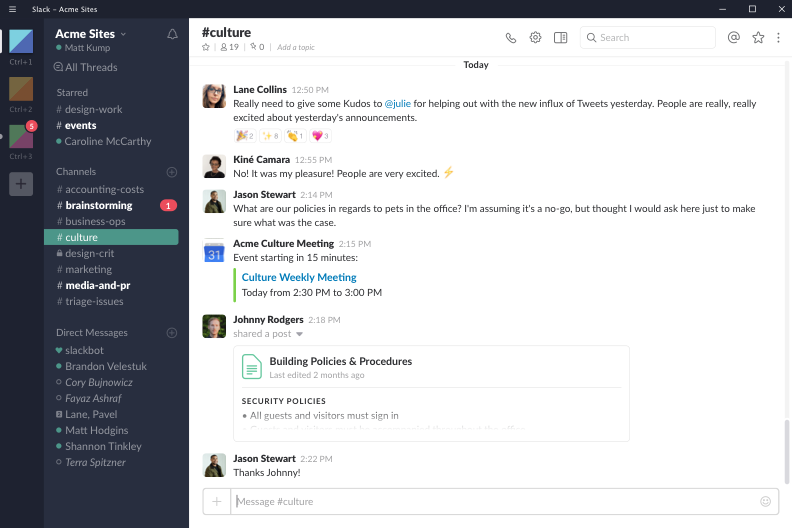 Some of Slack’s best features are direct messaging, group chat, searchable archives, desktop notifications, mentioning with @, and chat channels that are specifically assigned to different topics. In reality, you’ll most likely use a combination of several communication channels, and maybe even less formal messaging apps like WhatsApp and Messenger to talk with your closest customers. For example, I use Gmail with all my new and infrequent customers with whom I keep a more formal communication style. I use Slack with one of my long-term clients – they have added me to their marketing and sales channels to keep me in the loop about the company news that concern my work. I use Skype to contact my agency colleagues, and Messenger for clients who are more familiar to me. Creative brief preparation is a very useful and often forgotten aspect of freelancing. Especially in creative industries, briefing helps to avoid misunderstandings that can arise when you’re planning tasks remotely. If your clients don’t send you briefs, prepare a brief template yourself and ask them to fill all the fields that could be important for your task. This way you’ll achieve two things – get detailed info about the assignment at hand and demonstrate your professionalism to the customer. Alternatively, you can draft the brief yourself during a meeting or a call with the client. Make sure it’s specific enough – then you’ll be able to use it as a reference in case of any disagreements later on. Find video production brief template and other creative brief templates here. Many freelancers struggle with planning their working hours, allocating time for each project and separating their work and personal life. Flexible working hours are dangerous – you might often feel tempted to finish the task in the evening, at night or during the weekend. If you’re not strict with your working hours, you risk turning your life into a blurry existence of never 100% working or fully relaxing. Project timesheets can help you start organizing your work hours more efficiently and motivate you to track how much time each project actually takes. 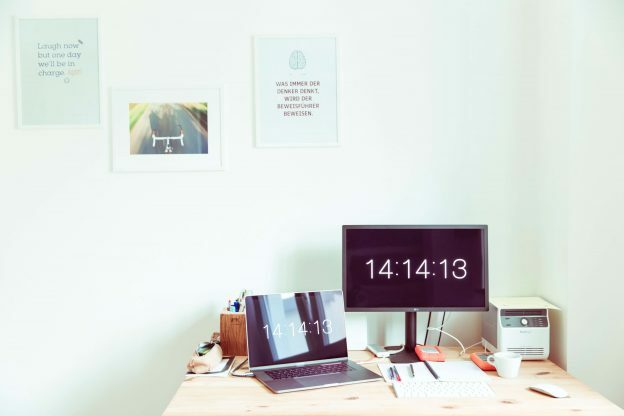 However, if you’re in need of more elaborate time management tools that will help you oversee your projects, discipline yourself, and boost your productivity, here’s a list of some of the best ones out there. 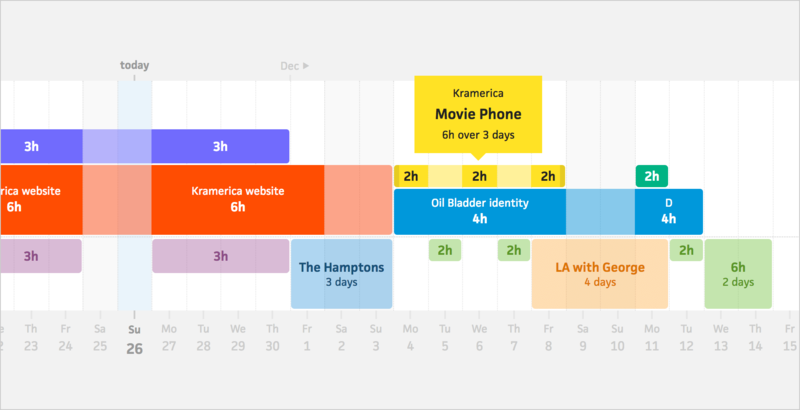 If you feel that your creative work needs a bit more structure, DeskTime is the app for you. It lets you track your working hours, analyze productivity, and see the time spent on each project. Find your most productive work times, locations, and patterns. Track time for each project or task separately. Get a better estimate of the time required for similar projects in the future. Discover and eliminate time leaks and start earning more money. Present custom reports to show the customer how much time you spent on their project. Timely is a different time-tracker without a timer. This app encourages you to fill in the hours you’ve worked on a specific project. Later you can see the history of a project and the time spent on its tasks. You can enter both your planned and actual worked hours and compare your estimations. A smart way to teach you to plan and estimate your time more accurately. Rather than tracking, Cushion helps you schedule your time – and not just the work hours. You can plan time spent on projects, as well as your time off. The app indicates when you’ve overbooked yourself, helping to manage your time better and avoid burnout. Log offline time. Even the best customers sometimes waste your time with long phone calls and unnecessary meetings that are included in non-billable hours. Be smart and don’t lose money – log your offline time and start charging for it. Discipline yourself. For some of us, it’s harder to be focused if you’re not being controlled by a boss or manager. Try apps like Forest or Cold Turkey to help you avoid distractions, and you’ll be surprised how much you can accomplish in one day! Find more productivity apps in this article. Calculate your project costs faster. Writing reports can be annoying and time-consuming, especially if you need to remember all the work you’ve done this month. There’s always a risk you can forget to bill some hours and undercharge for your services. Some time tracking apps offer Project costs feature that lets you set up and change hourly project rates and get automatic reports. There are numerous apps that show the status and deadlines for each task. If you’re just about to start using a project management app, I’d suggest going with popular options that integrate with other widely-used tools. Resembling a whiteboard filled with sticky notes, Trello is a whole productivity platform that allows you to create project-specific boards and works great on desktop and mobile. 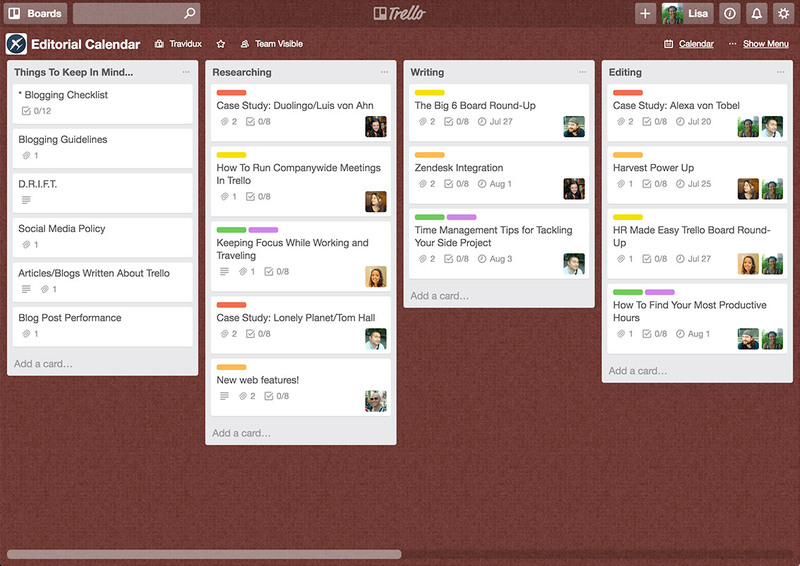 Trello is helpful for managing customer interactions, projects in progress, as well as goals and ideas for the future. As a freelancer, you can set up a board for assignments you are presently working on, upcoming tasks for the next weeks and a backlog. You can also create a separate board for each customer. In essence, Asana is similar to Trello but even more straightforward and user-friendly. The app allows you to track work progress and deliverables, as well as add tasks in a very spontaneous way. It’s great for freelancers and hybrid teams because all tasks are in one place. In Asana, you can organize your assignments by dividing them into three basic categories like Today, Later and Upcoming. A useful scheduling feature lets you plan something for the future and have it show up at a determined time. The app also offers super handy keyboard shortcuts. 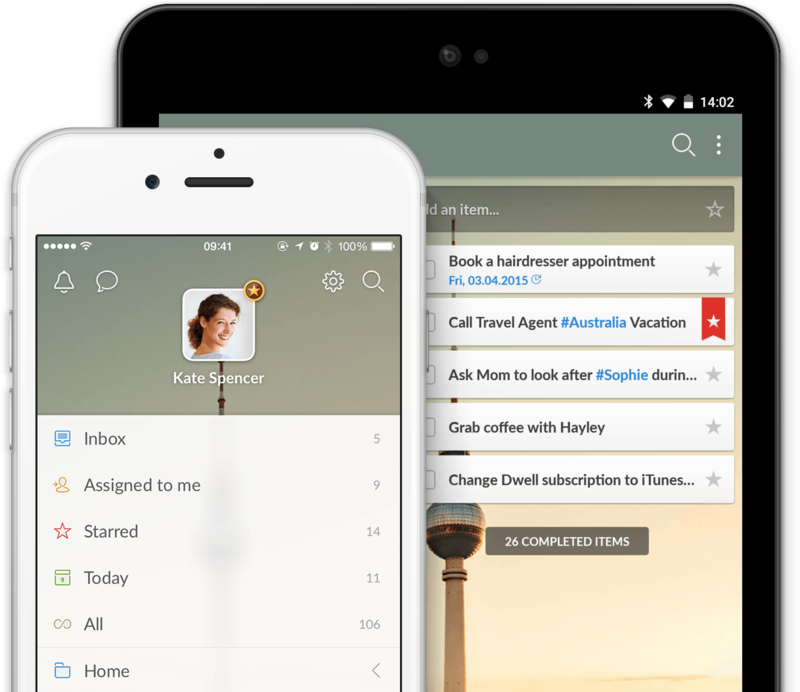 If you feel like you don’t need a whole task managing app to deal with your projects, Wunderlist offers a minimalistic but powerful way to make simple or advanced to-do lists across all your devices. You can also categorize your lists, add subtasks, pictures, notes, audio snippets, set reminders, and share lists with others. 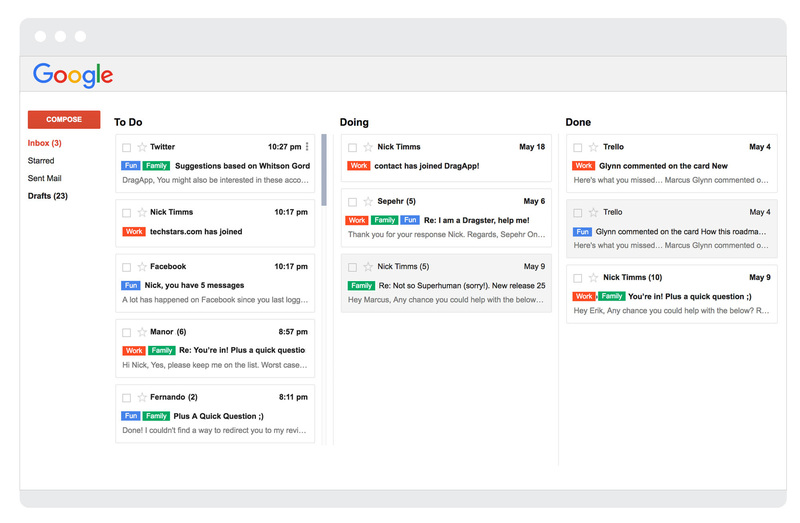 Drag is a really cool tool for organizing your Gmail inbox in a similar way to a Trello or Asana board. This free Chrome extension allows you to categorize your emails into three columns or stages: To Do, Doing, and Done. Very often it’s your customer who chooses to add you to their Trello or Asana board. For example, I have an Asana account with my agency colleagues and I’m also added to a Trello board for one of my clients. For my own task and meeting management, I use Wunderlist and Google Calendar. Budgeting and accounting are the sworn enemies of many freelancers. But they don’t have to be. Some of these apps turn the mathematical side of business into a more pleasant process and save loads of time. Moreover, if you follow and understand your expenses, you can find where to cut back and make savings for the less successful months. This interactive app helps you easily track your income and expenses, turning this intimidating task into something more similar to a game. Monefy is a simple solution for laying out your money matters in a clear way and documenting your spending right there and then. ZipBooks is an accounting tool that’s beautifully designed and simple to navigate. You can use it to issue invoices, track your time, manage payments and clients, follow your expenses, and more. Once you’re logged in, you’ll see a nice dashboard that displays your revenue in the last 12 months, billings versus collections, average collection period and more. Conveniently, you can set up late payment reminders for those customers that need them. Wave is a completely free accounting tool that targets freelancers or small businesses. 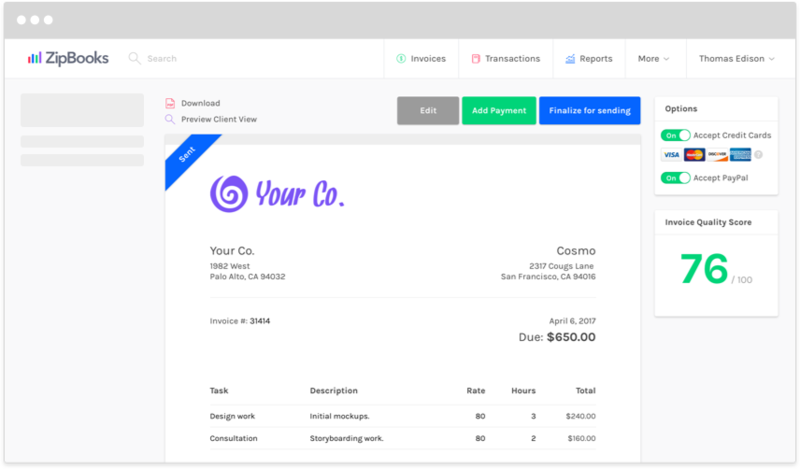 This is an excellent software for creating and sending professional invoices, estimates, and receipts in seconds. This app offers a simple way to eliminate manual data entry, track income, and expenses, with receipt scanning tools and bank connections. If you have customers abroad, a bank transfer isn’t always the cheapest and fastest way to receive your salary. Nowadays there are numerous ways to send and receive payments via online wallets. The most popular of these is Paypal with 169 million active users worldwide. It’s also one of the easiest, fastest, and safest ways to receive payments online. Escrow is a good alternative for freelancers. It offers a different, safer payment process: a freelancer only begins work after the client deposits the payment into a trusted Escrow account. The money is released once the job is completed. An excellent solution for working on a big job with an unknown customer. Google Wallet is a good option for you if you love Google apps and integrations. The usual Google standard of safety and low fees comes with the package. Read more about effective payment solutions for freelancers in this article. Take skills tests to certify your talents and experience to the potential employer and get awarded more jobs. Learn a new skill on Lynda.com. Linkedin’s education platform offers thousands of online courses and has a 30-day free trial. Follow blogs by successful entrepreneurs and freelancers, like Noah Kagan. Learn about simple marketing techniques, freelancing, and cool productivity hacks. If you are a designer, showcase your work on Behance – a platform for showing and discovering creative work on a global scale. Mockupworld offers countless free Photoshop mockups. Find the one you need, download and make the necessary design adjustments. Canva has enabled anyone to become a designer. As a copywriter, I’ve also used Canva often for making simple photo edits, posters, collages, social media images, and much more. Designer Lukasz Adam offers numerous free Vector Art Illustrations and Icons that you can download and use in any way you like. Many great design tutorials can be found on youtube, like this Photoshop learning channel. Briefbox is a collection of hypothetical briefs to practice your creativity when you’re between jobs or projects. Choose an imaginative brief – from a landing page concept for a surf school to Facebook redesign – and get designing. Then upload your work to the site and get feedback from the community. Grammarly is more than just a spelling checker app. It suggests synonyms, corrects sentence constructions and indicates overused words, often substituting a live proofreader. In fact, this precious add-on should be used not only by copywriters but by anyone who writes emails, publishes posts or creates any kind of content. Notion unifies all the different apps and tools out there – including most of those mentioned in this article. Notion lets you create a true knowledge base about a task or a topic, adding various types of content, files, and notes by dragging and dropping. All writers sometimes struggle with lack of inspiration or blogger’s block. Try Imagination Prompt to get your creative juices flowing. Even simple prompts like “Name five things in your freezer” or “Describe your dream job” can trigger the creative spark and help you come up with a new topic in your area of expertise. Keep pushing the button until the perfect idea hits you! In my opinion, Google Docs is still the simplest and the most convenient tool for writing any type of texts. Its simplistic design, sharing, editing, and commenting features are beyond compare. Invites can be sent to anyone, regardless of whether they have a Google account. OneNote is an app for writing on the go – whenever the creative lightning strikes you, write your ideas down! Choose between typing, handwriting or free-form drawing and sync your thoughts across all devices. 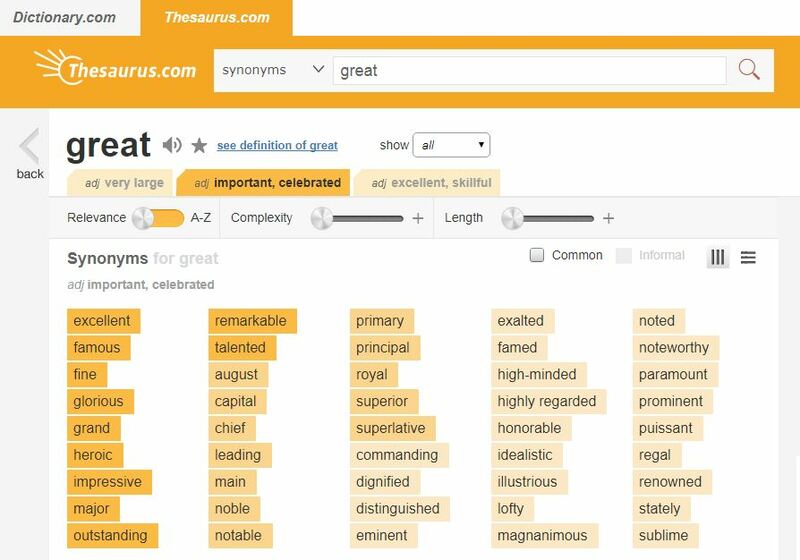 If you’re looking for more synonyms, antonyms, or associations, nothing beats the good old Thesaurus. I sure hope your freelancing career doesn’t resemble a violent fight. However, when you go on your freelancing battle or better – adventure – do not go unarmed. Bring along a set of tools that make you more resourceful, successful, and happy. And make sure to choose the right ones – those that really make your workday more productive and your life easier. 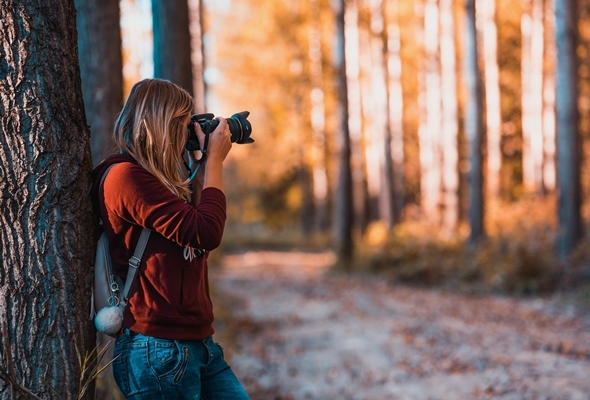 This is very helpful article for new freelancers. Thank you! Good old GMail is still awesome! I’ve been using https://miraar.com lately to automate repetitive task I have to ask every client to do… like upload a signed contract, send me images of any inspirations they have etc etc. been working really well for me and it handily reminds the client when they are behind dealine. I’ve tried Asana and Trello and to be honest, I wasn’t delighted. I found something better though, thought you might know – https://kanbantool.com/ ! It’s a lot easier to use, it makes me more productive and efficient. I like it a lot, you should try it. Really good article. I’m using a handful of these and all are proving to be time-savers. For jobs and contacts in the creative sector, Freelancer Club has launched an iOS App that’s a must-have. 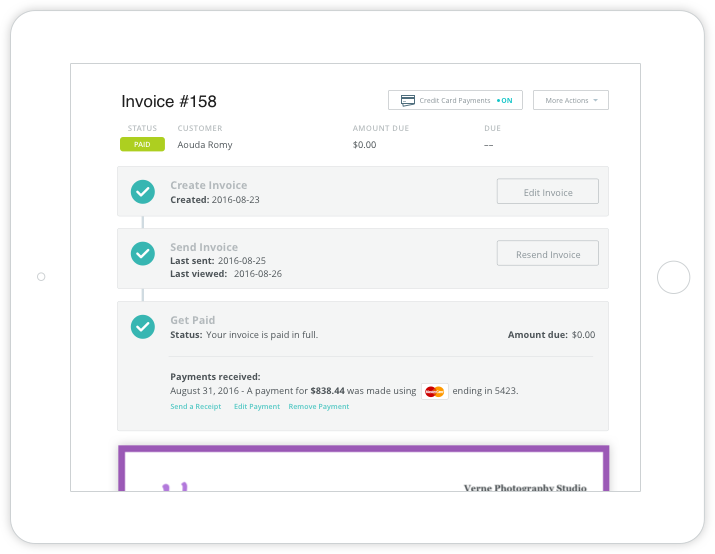 Also, check out Solna, a new smart invoicing app for freelancers sick of late payments. 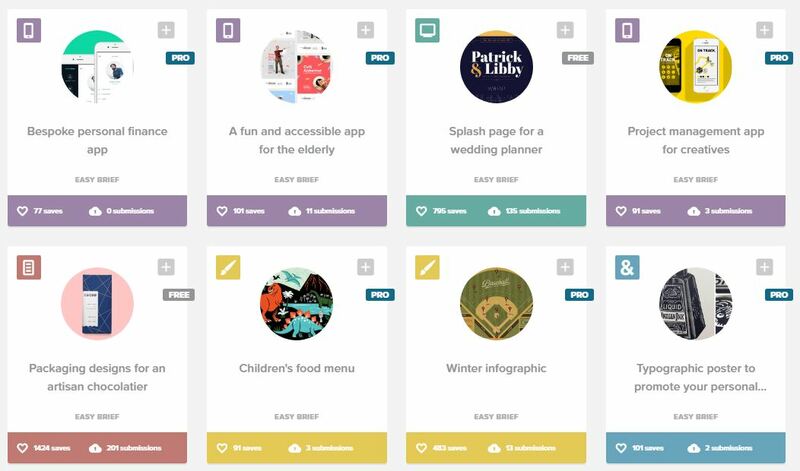 There are so many great apps out there for freelancers, thanks for highlighting a few! Some are designed specifically with freelancers and small businesses in mind – I work for Debitoor invoicing software https://debitoor.com/, which also offers easy-to-use mobile apps so freelancers can also invoice and manage expenses while on the go. As a freelancer for https://www.branex.com/mobile-app-development/ , the above-Shared apps & resources are effective for managing freelance activities in an organized manner. It is really a resourceful article. In financial management section, I like to introduce this invoicing tool https://www.excel-accounting-budget-analysis.com which is easy to use and efficient. 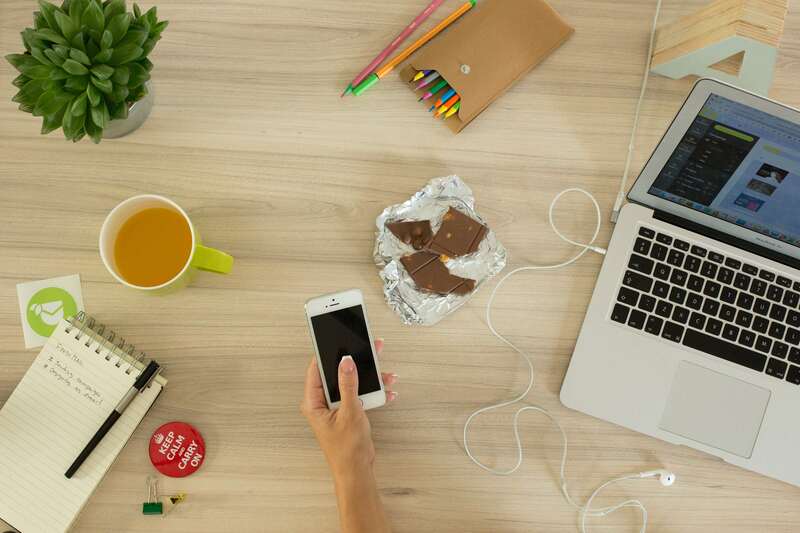 Being a freelancer at https://wistech.biz/mobile-and-web-applications/, above-mentioned apps are good to manage freelancing activities.